Yoga is one of the six systems of Indian philosophy. It had been transmitted orally through the generations like most of Indian philosophy and culture. It was sometime between the fifth and second century B.C. that a Sage by the name of Patanjali penned down this subject in his treatise the Yoga Darshana also known as the Yoga Sutras of Patanjali. This forms the basic text of yoga. The word “yoga” originates from the sanskrit root yuj which means “Union”. On the spiritual plane, it means union of the Individual Self with the Universal Self; while, for the man of this world, it is the union of the physical, physiological, mental, emotional and intellectual bodies leading one to live a integrated, purposeful, useful and noble life. Eating the right kind of food is an important element in achieving a physical, mental and emotional balance. In yogic literature foods that are beneficial to us are said to be Sattvic, or pure. Impure foods that can upset our physical, emotional, or intellectual balance are referred to as being in the categories. Tamasic (stale or rotten) and Rajasic (stimulating). You should avoid these foods. 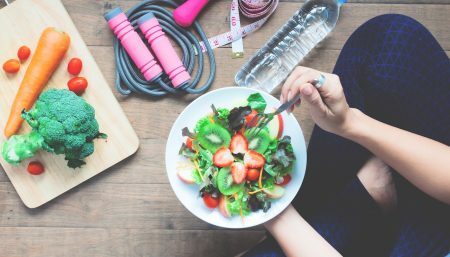 Below are a few guidelines you can incorporate while planning your diet to achieve optimum health. Sattvic foods form the ideal diet, being nourishing and easy to digest. They create new energy and a clear, calm mind, enabling us to use all our mental, physical, and spiritual talents. Sattvic products include cereals, fresh fruit and vegetables, natural fruit juice, milk butter, beans, honey, and pure water. The yogic-diet is said to be lacto-vegetarian, which means that it is made up entirely of non-animal foods with the exceptions of milk, cheese, yoghurt, butter eggs and honey. Evidence suggests that a predominantly vegetarian diet is good for our health. Meat proteins takes a long time to digest and tends to be difficult for the kidneys and liver to eliminate. Switching to a vegetarian diet isn’t hard as long as you have tasty alternatives. And you don’t have to do it overnight. First cut down on red meat, then gradually eliminate it from your diet. 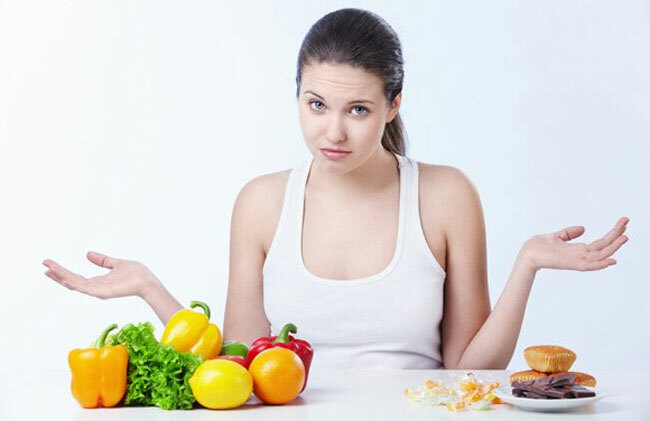 As you find other vegetarian foods you enjoy, you can gradually give up poultry, fish, and eggs. You’ll join the ranks of thousands of new vegetarians, many of whom have changed their diets for health reasons now that flesh foods have been linked to cardiovascular disease, colon cancer, and so on. Eat as many fresh fruits and vegetables as possible. 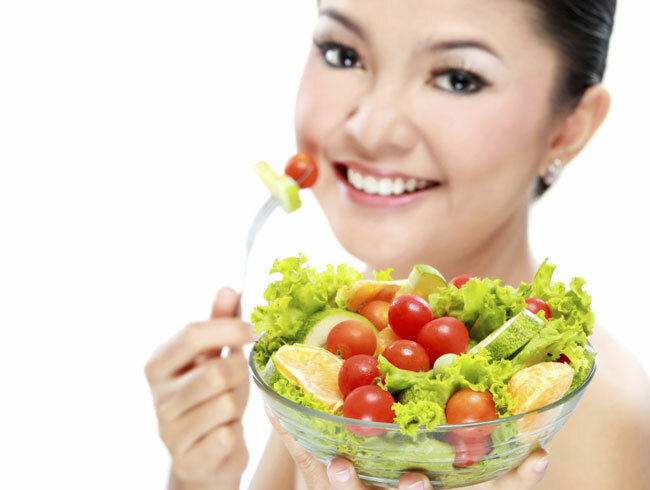 Cooking vegetables destroys vitamins and enzymes content, so you should try to eat some raw vegetables everyday. Whole grain products, are a definite must. Don’t rush a meal, take your time to enjoy it and chew it. Your body will thank you. In case of Fasting in Yoga, eat a diet of fruit, vegetables and perhaps some yoghurt 2 days before the fast. Then, the following morning, at around 10 am, eat some more fruits and perhaps a small bowl of yoghurt. Have a similar meal in the evening at around 5 pm. The next day your diet should consists of raw vegetables and salads. The following day you can add rice, or another grain, and some steamed vegetables. After this you can return to eating normally. Foods that are stale, tasteless, unripe, over ripe, or putrified are Tamasic. They poison the body, sap our energy, and dull the intellect. Tamasic foods include meat and fish, mushrooms, and foods that have been frozen, preserved, tinned, over-cooked, or re-heated. Foods that have been fermented, such as vinegar, are Tamasic, as are all drugs and alcohol. Eating too much is also considered to be Tamasic. Onions and garlic, tobacco, eggs, coffee, tea, chillies and other strong spices, and foods that are sour, acid, or bitter are all Rajasic. Chocolate, white sugar, white flour, and most prepared and convenience foods are also Rajasic to a lesser extent. All these substances excite the passions and over-stimulate the mind, making it difficult to control. Eating too fast and eating too many combinations of foods is also Rajasic. A true Yogic diet is rather strict, and not everyone wants to or can follow its rules. But even applying a few of these suggestions to your diet will enhance your well being. Yoga is considered as an effective medicine for common ailments such as periods pain, mild back pain, digestive complaints, insomnia, upper back and neck and shoulder tension, high blood pressure and arthritis.